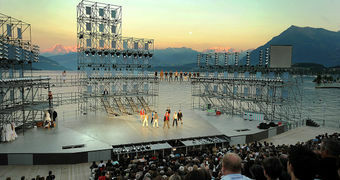 The Canton of Bern has a multitude of attractions and moments of pleasure in store for visitors. A particularly comfortable way to discover these is on a bicycle tour by e-bike. Sparkling lakes, lush flower meadows, green forests and picturesque historic districts: anyone travelling around the cycling paradise of Bern by e-bike is sure to enjoy varied landscapes. Another advantage: the tour of discovery by e-bike is recommended for young and old. Countless routes await e-bikers in the Bernese Oberland as well as the lowland. In Kandersteg, Lenk-Simmental, Interlaken and Gstaad, visitors can discover a great variety of bike routes, such as e.g. along the Simme to Spiez. 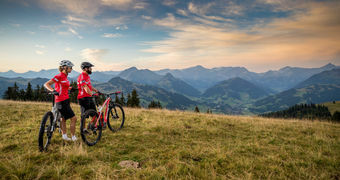 Mountain bikers receive the necessary push in Adelboden. The special e-bikes are especially suitable for sophisticated single trails. Bikers in the holiday region do not have to worry about empty batteries, thanks to the many charging stations of Thömus. On one side there is the blue lake, on the other there are the green vineyards and charming villages: one picturesque scene follows another on the e-bike tour around Lake Biel. No less beautiful are the routes in the Bernese Jura around the Montagne du Droit. And in the Bern Region too, visitors cycle past varied landscapes. On the Heart Route, which runs through the whole of Switzerland, it is very easy to explore the highlights of Bern. Sweet-toothed visitors and gourmets get their money’s worth in the Emmental on the Cheese Route or the Kambly Experience tour and food fans are pampered with regional delicacies on the trip around Gantrisch Nature Park.